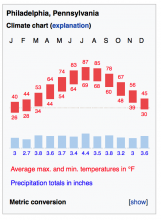 Scroll to the "Climate" section under "Geography"
Hey @JoeWalsh I asked around and the general advice was to post something on the templates talk page first. Since this is technically a change to the content, we should ask the volunteers watching to make the change. If nothing happens in a week or two, let me know. 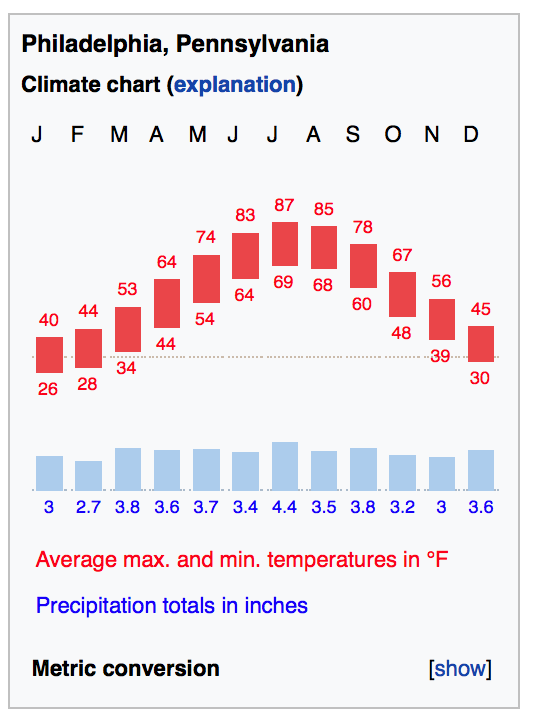 CommunityTechBot renamed this task from ntaaaaaaaa to [BUG] Temperature charts don't line up on mobile web or iOS.